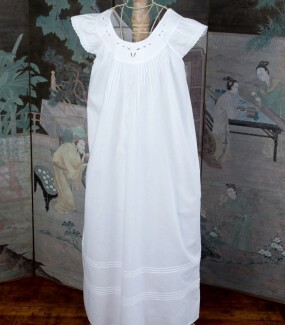 This charming pure cotton nightdress is designed to suit all shapes and sizes. It has a V neck bodice and little caped sleeves and is designed to fall just below the knees. 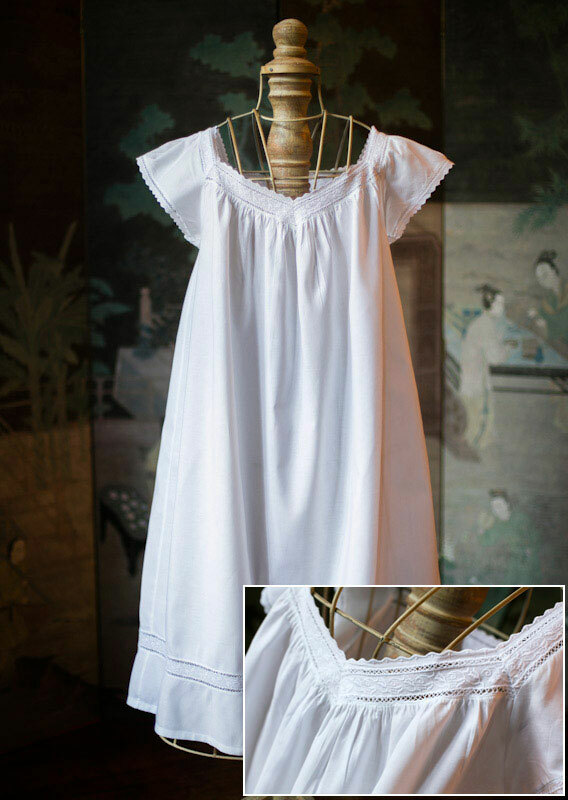 Made from a top quality pure cotton with cotton embroidery and lace this is such an attractive and comfortable nightdress to wear. It comes in 4 sizes – Sm (size 10), M (size 12-14), L (size 16) and XL (size 18). 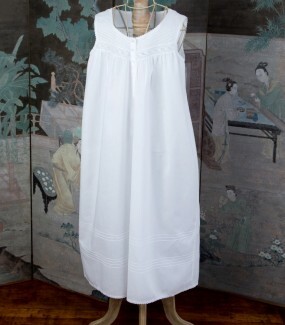 As with all our nightdresses the cotton is of a superior quality to others on the market and washes and wears extremely well.